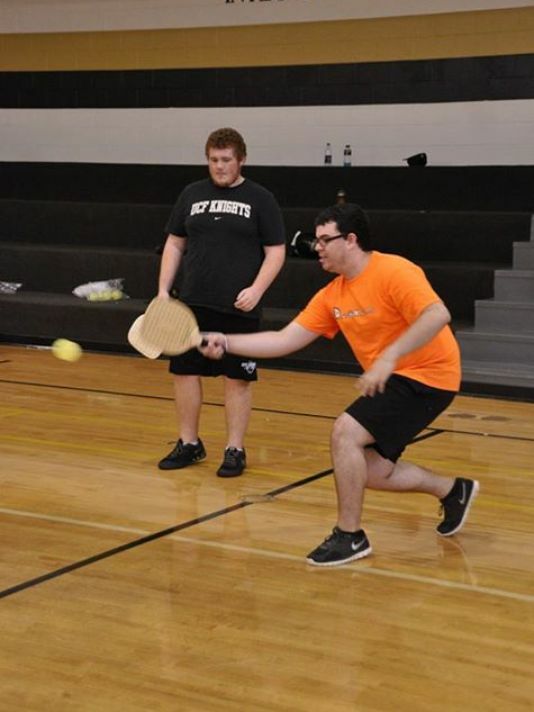 Pickleball originated as a game played on a lazy Saturday afternoon. Fast forward 50 years, now it is defined by its Wiffle-ball-sized bright green perforated ball as a sport. A mix between pingpong and badminton, pickleball is played on a 20-by-44-foot court with a 36-inch tall net dividing the two sides. "You have to be able to have a good eye and good judgment. You have to be able to think while you play. Serving is really stressful," said Teesha Monroe, a junior sociology major and employee of UCF intramural sports. "This game is really different." Combining the coordination of tennis players, delicacy of badminton and swiftness of table tennis, it didn't take long before UCF players immersed themselves into the IM tournament, discovering the intricacies of the new intramural sport.